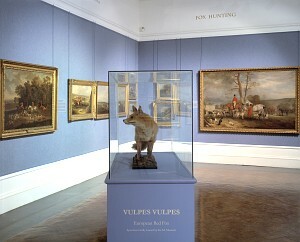 The Bailey collection was recorded as occupying three large rooms of the gallery when first exhibited in March 1947. By the early 1950s, the local press occasionally recorded complaints that popular works in the collection were not on show, although one of these articles acknowledged that the gallery had a special room devoted to sporting art, in which 31 works hung (Cape Argus, 14/1/53). New gifts and loans in the 1950s made space increasingly tight, and criticisms of inadequate exposure of the Bailey collection were occasionally still voiced in the press. In the late 1960s, however, the gallery board minutes for 27/5/68 (SANG archives) record that one room of the gallery had been filled with the majority of the Bailey sporting paintings, for exhibition from May to July 1968. In 1970, an exhibition of the sporting paintings, curated by Bruce Arnott, was staged as part of the 150-year celebrations of the '1820 Settlers' (the 1820 British immigrants to the Eastern Cape). A catalogue was published for this exhibition (see Bibliography). 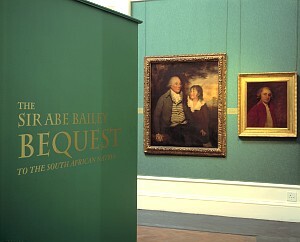 In recent years, the largest retrospective to date of the Bailey bequest was opened in 2001. Guest-curated by Anna Tietze of the University of Cape Town, in conjunction with the gallery, it ran for more than a year (see Past Exhibition). 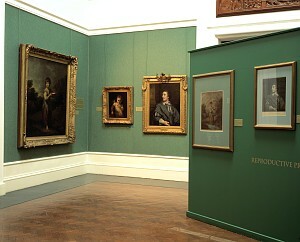 It included both sporting art and portraiture, and included works in all the three media represented in the collection. A brief catalogue was published for this exhibition (see Bibliography). 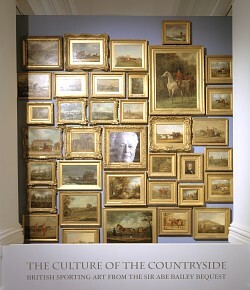 Subsequently, a long-running exhibition has showcased the conservation activity surrounding the Bailey bequest (see Bailey conservation website). On an ongoing basis, works from the bequest are shown as part of larger exhibitions of the permanent collection. Reproductive prints: are organised in such a way that the painter of the original artwork is given as the artist, and the life-death dates are his, while the printmaker's name is given separately. Artworks: the artworks are refered to in the various texts thoughout the website are indicated with an Accession number. This is an unique reference number that refers to a specific artwork. If you click on the Accession number it will take you to further details about the artwork and artist. Artwork images: if you move your mouse over an image of an artwork with the texts, the artist name and title with appear. General images: general images within the texts are clickable and a larger image and caption will appear; i.e. the Biography section. Footnotes: all footnotes are clickable, simply click the footnote number. Once you have read the footnote, you can click the Back button to return to the text you were reading.